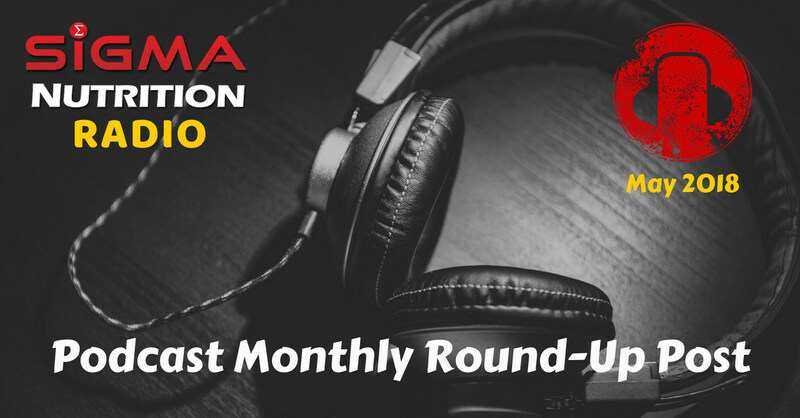 Introducing the Podcast Monthly Recap! I (Danny) am delighted to welcome and introduce you readers to the newest member of the Sigma Nutrition crew, Ella Whitcomb! Ella is a performance nutritionist and completed ISSN Diploma in Sport Nutrition. She is currently in the process of completing the MNU Course. In addition, Ella also has a BSc in Psychology and is beginning a MSc in Sport Psychology this September too! Revision: For those of you regular listeners, you know there is a lot of information to try to retain. By reading back through these summaries it should be very helpful in reminding you of some key points and helping you to re-cap on the information. Identifying Missed/Skipped Episodes of Interest: If you can’t listen to every episode or have missed some, then by skimming through these re-cap posts, you’ll be able to identify some episodes you missed that may actually been beneficial for you. So you can go back and pick which ones look most interesting. So from here on with these monthly round-up posts, over to you Ella! 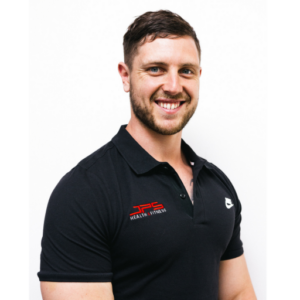 Jacob Schepis is the owner of JPS Health & Fitness, who help thousands of individuals improve their strength, body composition and well-being through evidence based coaching. He now passes on his wealth of knowledge to other aspiring personal trainers to help them develop as coaches. Jacob talks about how coaching differs from personal training in that you can offer far more than what the person comes to you for. A person may get stronger or achieve their desired body composition, but working with a coach should equip them with skills that can help them throughout their life. Evaluate the outcome and repeat! He believes that coaches can struggle on any part of this process so it’s important to be reflective and aware of your own biases. The aim of coaches is to move them closer to “optimal” slowly over time. To do this, you need to be resourceful and pragmatic. It’s key to find a balance between being too esoteric and too ‘bro’. For example, if you have a 65kg vegan client that consumes 50g of protein per day you know that the literature suggests it’s optimal for them to consume 130g for muscle protein synthesis. However, being a good coach means you work with their needs and help them progress towards the 130g over time. 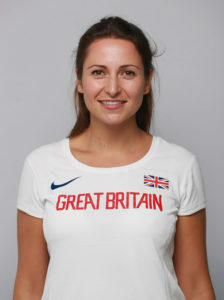 Dr Sophie Killer currently works as the Lead Performance Nutritionist for British Athletics, supporting the Olympic and Paralympic Track & Field Athletes. She has extensive experience working as a Performance Nutritionist including 4 seasons in the Premier League, supporting British Basketball during the London 2012 Olympics and elite athletes from cycling and running backgrounds. Sophie’s focusses on promoting maximum performance through optimising nutritional strategies and reducing the days that the athletes lose through injury and illness. Her emphasis is on providing the athletes with the skills they need to take ownership over their own nutrition. Sophie discusses the importance of translating the science into understandable and actionable advice for the athletes, pitched at their level of nutritional understanding. One flaw of Sport Nutrition degrees is that they tend to focus on the science but not actual foods. When advising your clients, it’s not helpful to tell them to consume 30g of carbohydrate, instead advise them what to eat and when. To successfully manage the athletes, working well within a multidisciplinary team is key. Stephan is a PostDoc researcher in the Center for Human Nutrition at Washington University School of Medicine. He completed his PhD research at the University of Illinois, examining the regulation of postprandial protein metabolism after food ingestion and exercise. 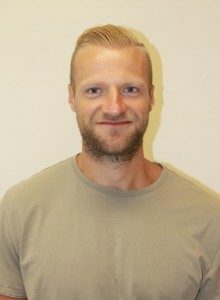 Stephan conducted research looking at whether there was a difference in muscle anabolic response when consuming whole eggs vs egg whites amongst healthy, young trained men. In the study, the conditions were matched with 18g protein (3 whole eggs vs 5.5 egg whites) and despite the egg whites being absorbed quicker, the whole eggs elicited a greater anabolic response. These findings were surprising as previous work from Dr Van Loon suggested that adding fat to protein (casein or whey) doesn’t change the anabolic response. This provided the rationale for the review paper “Achieving optimal post exercise muscle protein remodelling in physically active adults through whole food consumption”. This explores research on lipids and how they can act as messenger molecules to play a role in driving the anabolic response. The review paper also explores the literature on some of the nutrients within whole foods sources that may assist in driving muscle protein synthesis. Athletes – should be eating on the higher end of the recommendations, especially if they have calories to spare. Amongst trained individuals, the muscle synthetic response isn’t as long lasting. Sedentary – it would be beneficial to get these individuals to increase their protein intake but the most beneficial thing they can do is to start resistance training as it’s a potent stimulus to the muscle. Elderly – they demonstrate anabolic resistance so elicit a dampened response to protein feeding. For this group, consuming more protein could be beneficial. Stephan’s future research will focus on how the nutrients in whole foods effects muscle anabolic response as well as the role of Vitamin D on muscle protein synthesis. Hugh has an MSc. in Applied Sport and Exercise Psychology and is accredited by The Irish Institute of Sport. 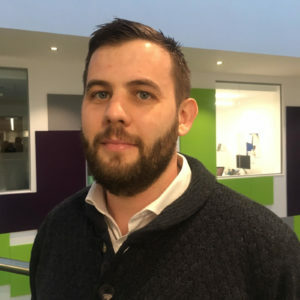 He is currently the Performance Psychologist to the British Weightlifting team and worked with these lifters in the lead-up to the Olympic Games in Rio 2016. Hugh explains that one of the roles of a sport psychologist is to help athletes to understand their beliefs, thoughts and behaviours towards an endeavour they are trying to achieve at. In addition, they help improve communication within multi-disciplinary teams. Enhance Confidence: this can be achieved through calling upon previous positive experiences. Individuals need to become competent in uncertainty and learn to adapt. Training sessions should aim to mimic competition. Arousal: This encompasses perceived importance of the task, perceived demands of the task and the perceived resources of the athlete. Pre-Performance Routines: – creating a level of arousal through self-talk, physical arousal, visualisation and understanding how you optimally create a pattern where you’re ready to perform. This also holds true for confidence; you don’t want to be too confident as it can lead to underperformance but a lack of confidence can also decrease an individual’s ability to perform. Confidence and arousal levels can be influenced by manipulating the task importance, the perceived demands or the perceived resources. To create pressure, an athlete can focus on the importance of the task. On the flip side, confidence can be enhanced by focussing on their resources to deal with the situation. At the 40-minute mark, Hugh discusses goal setting and the limitations with the popular “SMART” model. Goals need to fit in with your lifestyle and you must prioritise what is most important to you. When it comes to goal-setting, being positive isn’t beneficial as if you think it will be easy, you’re likely to fall at the first hurdle. Instead, try to implement a technique called mental contrasting. Work out what you will trip up on and then plan how you will deal with this.